enter: SANTA50 and get your entire order for 1/2 price! Feel free to share as you wish. My Oral-B/Crest Pro-Health FOR ME party. I had a great opportunity to host a party with Mommy Parties,Crest andOralB. They sent me lots of goodies to go with my party. In my host box there was toothpaste,toothbrushes,flossers,rinses,vitamin gummies,and a Cars2 movie. My kids were excited to invite over their friends for a movie night. The gift bags were ready to give out. The little ones enjoyed playing the games while the older ones helped them out. The containers were waiting for the popcorn to finish popping. Here is the kids enjoying the Cars2 movie. It was a fun night watching the movie and learning about toothcare. Thanks Crest,OralB,and Mommy Parties for providing great things for my party. 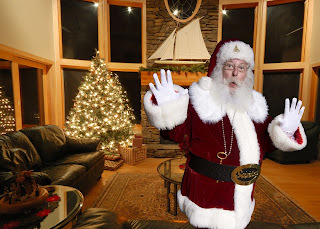 Once again, the holidays are in full swing! Last minute shopping, out-of-town visitors, holiday parties and church functions are just a few of the things that keep us busy during this time of year. As if being a Mom and blogger doesn't take up enough of our time! On top of that, there is that 2012 church or group fundraiser you have to plan! And for that reason, we are happy to announce the launch of http://r20.rs6.net/tn.jsp?llr=tvj4cobab&et=1108962281381&s=46201&e=0014BcaUnPST4W662Ty3NjDoILtJoSi_kCCaBrtBSGfsruA_cj7YEXbYoFdW2y8l0MMT08_SMYsvFT8iqcNMTFxZZ20_zK1mD5lcilPgzU6aGkVlEPQCL2VEQ==, an online Christian apparel and accessory store. As a mom, church member or community organizer, we know that you may be looking for fundraising opportunities. Sonfish Gear is proud to offer a unique fundraising program which allows groups to purchase products at wholesale prices and resell for fundraising. This is an exciting way to switch it up from the usual church car wash and bake sale, to offering a variety of quality Christian apparel and accessory products. To find out more about Sonfish Gear's fundraising opportunities, click HERE! In early 2012, Sonfish Gear products will also be available for individual purchase! From hats and sunglasses, to iPhone cases and baby clothes, Sonfish gear has something for everyone on your 2012 gift giving list. If you need a last minute holidays gift idea, the classic Sonfish Car emblem is immediately available for purchase and would make a great stocking stuffer this year! The Sonfish emblem reminds Christians that Jesus, the Son of God, is always shining his love upon us. To check out Sonfish Gear click HERE! Our kitchen chairs had been worn out for a long time and I finally got motivated to fix them. I went to Joanns fabric store and bought some fabric for 20.00 and a staple gun at Lowes for 20.00. I then gave my wonderful husband the job of puting the new fabric on the chairs. For 10.00 a chair I have new looking chairs. I saved money by fixing the chairs instead of buying new ones. My motto if it can be fixed try that first. With all the opportunity for indulgence during the holiday season, it can be hard to stay in a healthy mindset. Although we shouldn't resist treating ourselves to some of our favorite seasonal confections, it's important to indulge wisely so we don't find ourselves in damage-control mode on January 1st! 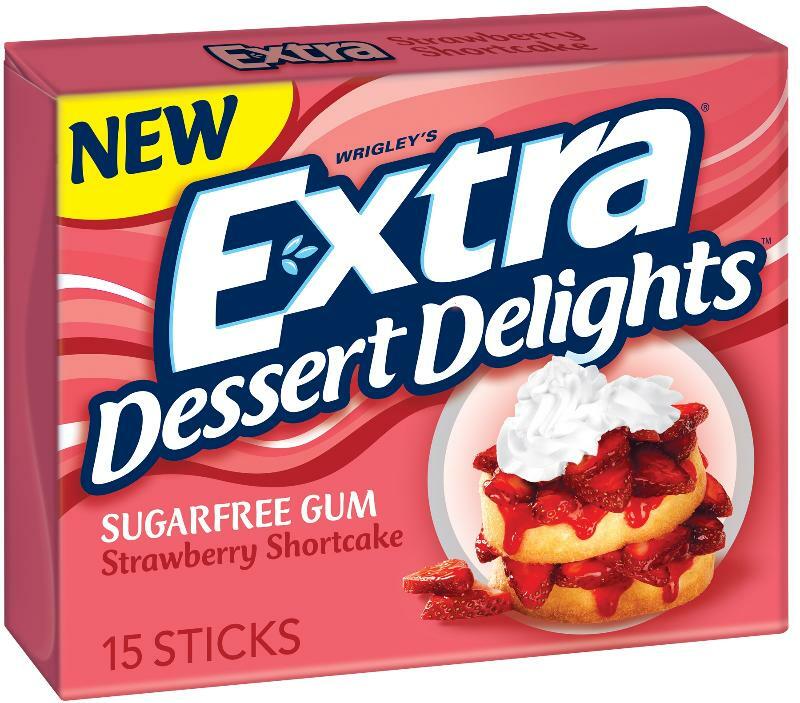 Extra® Gum knows that maintaining a fit lifestyle takes a little more willpower during this sugar-laden season, which is why they've launched their 120-Day Get Fit Giveaway! 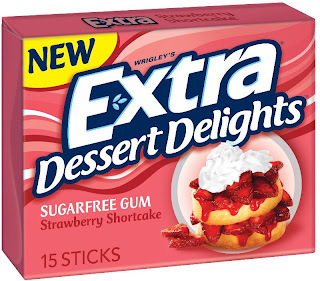 Throughout the holiday season and as New Years' resolutions approach, Extra Dessert Delights® gum is the perfect ammo to have on hand as an easy alternative to high calorie snacks, and now they're offering even more ways to bring everyone a little more support during these crucial times. With the 120-Day Get Fit Giveaway, fitness buffs and gum chewers alike can enter once a day to win unique fitness-focused prizes that will help keep your New Years' resolutions on track. From now until March 29th, 2012, you can visit http://www.extragum.com/ for daily prize giveaways and the chance to win the Grand Prize- a fitness adventure trip to Red Mountain Resort in Utah. Prizes change daily, so entrants should be sure to check back each day to see what the fun new prize will be. I was sent a sample of Purex Triple Action laundry detergent from Purex Insiders to use. Today was laundry so I used the Purex Triple Action in my machine. I love that the detergent is good for all machines so HE machines users dont have to buy different costly detergents. The triple action stands for bright,white, and clean for its purpose. The scent was mountain breeze. The scent was wonderful when I took the clothes out of the washer. My clothes came out very clean after washing also. I love using Purex for laundry for many reasons. The most important one is cost,as Purex does a great job of washing for a reasonable price. Why pay for those expensive brands when Purex does just as well. I also love the various scents Purex makes,it makes laundry day more enjoyable. I have been a Purex user for a long time as I love the way my clothes look and smell. I also love the price of Purex. For more information on Purex Triple Action go to www.Purex.com/TripleAction I love this laundry detergent ! "Purex provided a free sample of their Triple Action laundry detergent so I could write a reveiw. All of the opinions expressed are my own." We rented the Smurf movie tonight and really enjoyed watching it. Everyone was laughing a lot during the movie. The older folks sang along with the songs and the younger ones were amazed they knew the words. Everyone was into watching the movie. This was a good family movie,from young to old. There was nothing offensive or bad language,which is a plus for me. My family and I went to Roswell,New Mexico the other day to check out a college for my son. Roswell New Mexico is known for the so called Alien encounter in 1947. Our visit would not be complete without checking out the ufo museum. The museum was very informative about the ufo crash,it left you thinking about wheather or not a ufo really happened. There was plenty of newspaper articles to read along with pictures. My little ones enjoyed the spaceship with smoke comming out of it. They also liked the realistic aliens. My family and I enjoyed the museum. I left the place wondering what had really happened back in 1947 and why was the goverment trying to cover up. We also had a great time at the hotel swimming and relaxing in front of the tv. So if you get a chance to go to Roswell, New Mexico check out the Ufo museum. I got those cool green glasses, worn by my son, at the museum as they have a cool gift shop there. Holiday presents don't need to be store bought or expensive to be meaningful. Homemade gifts are perfect for gift-giving and spreading holiday cheer. This year, Karo has partnered with Chicago pastry chef and cookbook author Sarah Levy to create delicious treats that are the perfect gift to give this holiday season. Karo Syrup wants to celebrate all holiday baking recipes! Consumers who share their favorite recipe to bake in Karo's Recipe Sweepstakes are entered to win a special New Year's Eve package in Chicago, including a two-night stay at the Wit Hotel, dinner at Mastro's Steakhouse and a chocolate tour. Visit the "Tis the Season" tab at www.Facebook.com/KaroSyrup to share your recipe, enter to win this fabulous trip and see some of Sarah Levy's favorite holiday recipes. So what are you wating for enter your recipe now and you might just win. "Disclosure: I was entered for a chance to win a Karo Syrup prize package in exchange for this post. No monetary exchange took place. All opinions are my own." I was given a opportunity to sample Torani syrup through She Speaks and Torani. These syrups are wonderful to add flavor to coffee,tea and even cold drinks. There are over 100 flavors available like caramel and peach. Go to http://www.torani.com/ for a full list. I sampled the peppermint syrup and made wonderful peppermint mochas with it with coffee and chocolate syrup. 1.To enter just follow me with the GFC(google friend connect)button and leave a comment with your email that you did. 2. For an additional entry follow me on twitter-see top right of blog and comment with your email that you did. I will contact winner by email with 48 hours of giveaway for address to mail coupon. The giveaway is over an the winner is comment # 5 Janejoey57. I will be emailing you for your address.